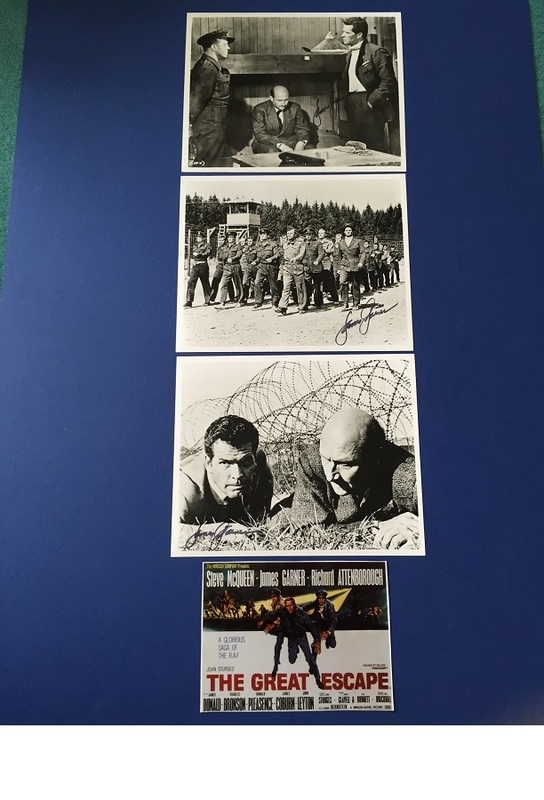 3 Wonderful rare 8x10 signed b/w photos of James Garner as Flight Lt. Hendley "The Scrounger", in 'The Great Escape' 1963. The price shown is for all 3 photos. 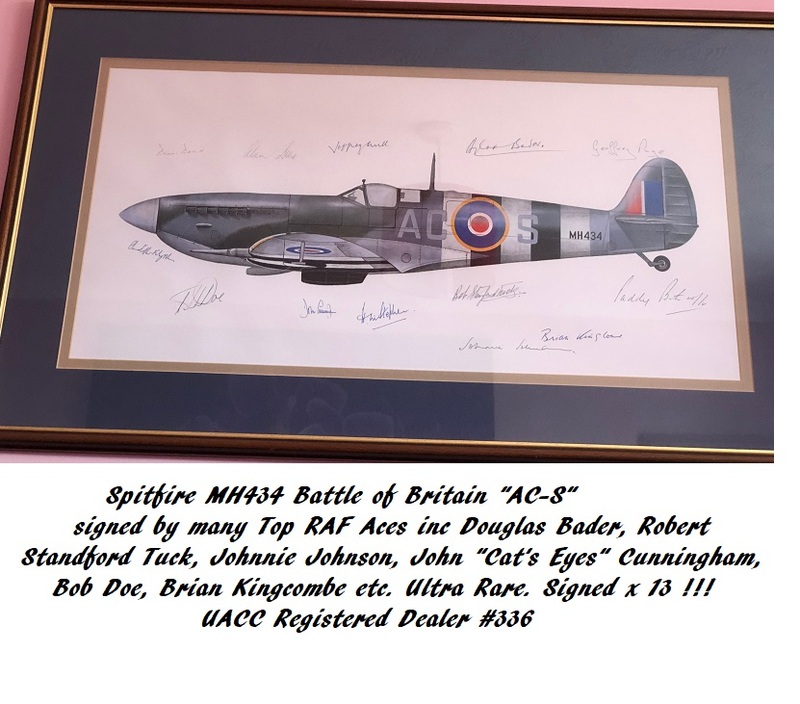 A very nice rare collection. Please note that the blue background, and Great Escape poster is for presentation only, and not included. Please ask if framing required.